Looking for a safer, easier, and quicker way to fund your online gambling account? Visa credit and debit cards are the most popular and fastest selections available. Making a deposit using a Visa credit or debit card is one of the most straightforward ways to fund your online sports betting account. You don’t need to register with any additional payment provider. With Visa, you only put in your Visa card details the same way you do when you purchase or make a booking online using a credit card. Credit card online sports betting is enticing for a number of reasons. Nevertheless, you still need to be careful. 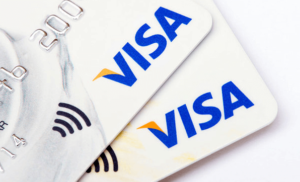 Visa is a popular credit vehicle globally. Due to that, a huge number of US-friendly online sports betting sites allow the use of Visa to make deposits. To begin, you must find a secure, reputable sports betting site that accepts bettors from the USA. Also, make sure the vendor offers Visa as an accepted banking method. Sign up for an account, make sure to claim any welcome bonus available to you. Then go to the bookie’s deposit/cashier/banking section. Choose Visa from the list of payment options provided. Put in your Visa card number, the expiry date, the cardholder name, and the CVV number. Enter the sum you would like to transfer to your sports betting account. There will be further prompts. All you need to do is follow them to complete your transaction. As mentioned above, there’s no need to sign up to any sportsbook. There are over tens of thousands of likely bets you can make on a great range of sports and events. Anything from political and entertainment bets, to game outcomes can be managed at these books. There’s also live in-play bet you can place or wager on using your mobile device from anywhere with the use of Visa. You can deposit with confidence with Visa. What would a top-notch online sportsbook be without a world-class racebook to enjoy? In the books listed in our table above, you will find races going on all day from tracks worldwide. Some offer cybernetic race tracks, or you can also stream live races straight to your terminal. Get all the action at these sportsbooks beginning with your first Visa deposit to your sportsbook account. The ease and security of Visa is why it’s accepted everywhere.